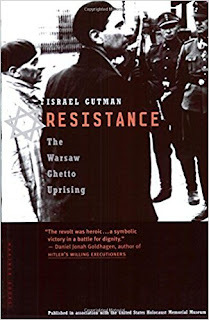 Resistance: The Warsaw Ghetto Uprising by Israel Gutman chronicles the famous 1943 revolt. There are important things to keep in mind about this event, which Gutman’s stresses throughout this work. The uprising did not take place when the ghetto was filled with hundreds of thousands of Jews, but only after nearly all had been transported to Treblinka. Early efforts to provide resistance were blocked or stalled; both the rank and file in the ghetto and the Jewish Council still had a flicker of hope that their end point was not mass murder. When the Great Action occurred, and the ghetto was emptied, there were no more illusions. The uprising was led by young members of various Zionist organizations and the socialist Bund. Most were in their early twenties and had no military experience. The commander, Mordechai Anielewicz, considered experienced, was only twenty-four The right wing Betar movement also had a fighting force, but the ideological differences between right and left were too great to bring them together, even on the eve of complete destruction. They were never a part of the Jewish Fighting Organization. Therefore, accounts of their exploits are meager. 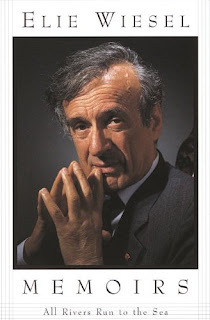 Elie Weisel’s All Rivers Return to the Sea, the first or his two part memoir, provide the reader with a wider view of Weisel than either his popular image, or many of his books provide. Of course, his experience in the Shoah is paramount. But this book also shows that Weisel led a varied, well-traveled life following the Second World War. He was no one’s victim: despite his experiences, or maybe because of them, as a journalist he placed himself at the center of many epochal moments. He led a full life. It is also interesting that he fails to explore the personal element of the trauma of the Shoah in his life. He write about his experiences in the camps, of course, but the post-war material stands on its own. Again, this is not the story of a victim or victim-hood. It is the story of a life lived fully. Weisel presents a picture of himself as a man active and functioning in the world. 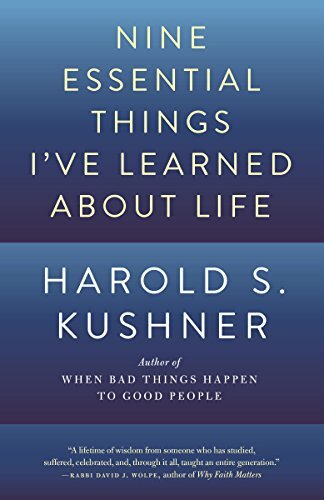 I don’t agree with all the things that Harold Kushner says in Nine Essential Things I've Learned About Life, his most recent book. The guru of the limited G-d, of the Deity who does not control the world (who was propelled to fame with When Bad Things Happen to Good People) he is extremely humane and kind. There is no doubt that reading his work is well worth the time. But in my humble opinion, his view of God removes a vital part of much of what gives Judaism its dynamism. Of course, if we believe in an all-powerful, all-knowing, activist Deity, than 'the bad things that happen to good people' is a problem, for one could and should option attribute our misfortune to the Deity. Granted. 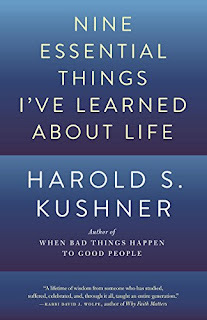 Answers that have satisfied some people over the centuries find no perch for Kushner, like the bad things that happen are part of an overall plan that we fail to understand. Kushner fails to see how needless suffering can satisfy a plan. Nor would he want to believe in such a G-d who would use suffering like this. This makes sense. So his Deity is limited in power. God doesn't give us cancer. Kushner's G-d helps us face the challenges of having cancer honestly and bravely. Again, why not? I think that is a genuinely helpful way to view G-d. But the Jewish soul in me resists the notion of a limited Deity. There is a legitimate, and long tradition in Judaism of holding G-d accountable for seemingly unjust actions and events. From Abraham to Job to the Holocaust, Jews demand a moral accounting from their G-d. They plead, seek, and rail against a G-d who will not deal justly with (his) creatures. I want to have full control of my views of G-d. Sometimes G-d is personal, and I am devoted to G-d like a friend or lover. Sometimes I seek G-d's succor; I can’t take any more of what the world dishes out, and ask for solace and help. At other times G-d is a force, an impersonal entity, as the Stoics imagine the Divine. Often G-d is Reality, big R, the sum total of all that is. Sometimes, G-d is absent, nothing, a lack and an ache. I look for G-d and fail to find him, like a lost child. G-d is all those things, and more; the mind fails to grasp the Divinity. We are left with a G-d who wears many masks. Why would it be any other way? Why should G-d only wear Kushner's mask? 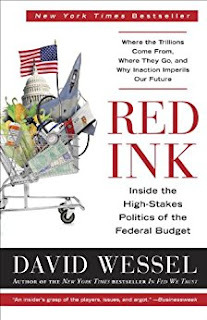 Red Ink: Inside the High-Stakes Politics of the Federal Budget by David Wessel is a fascinating, though uniformly depressing survey of the state of the Federal Budget. Wessel has written an excellent, easy to understand book about the challenges our nation faces. He picks topics like the military, health care, and delves into specifics, and then explains the overall implications of the cost of government programs and on our massive, intractable debt. Reading this book, it is easy to see how the US will become a second rate power if our indebtedness continue on this path, that is, unless we make some difficult choices. And as we all know, as a society and polity, we appear to be incapable to making hard decisions. 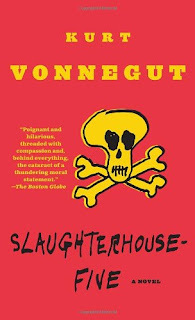 Revisiting Slaughter House Five after more than twenty-years is an instructive read. 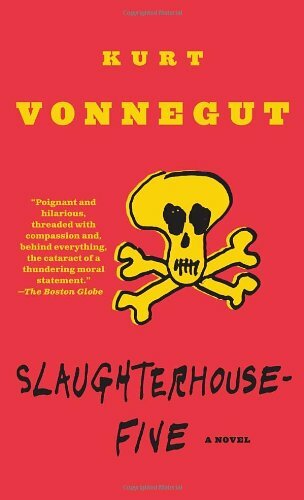 In this, considered Vonnegut’s greatest novel, you see his strengths and weaknesses combine as a writer work in tandem to make a very powerful statement about the nature of time, loss, and the persistence of human pain. Like all works laced with irony, it is hard to know this narrative at its "core"; is the view of the extraterrestrials, who do not see the sequential nature of time like humans, and therefore do not feel loss or pain, an escape valve, a gag, if you will, that highlights how helpless people are in the face of fate? Or are we to take this seriously as a real ontological view of the world -- almost a new article of faith? There is no way to know. All that is certain is that we are trapped in a human world, with a human world-view. The novel ends in a firebombed Dresden with the chirp of a bird to highlight human helplessness ­– thousands of civilians are burned to death, a great city lay in ruins – yet life goes on, without an overarching commentary or elegy. In the face of such destruction, words lose power. Cornell has a long tradition of endangering its faculty, staff, and students, by remaining opening during severe snow storms. All other institutions close, but Cornell soldiers on, despite the strictures of common sense and nature's mandate to halt human activity. Well, today Nature won and Cornell lost. I have worked at Cornell for nearly 18 years and this is perhaps only the third closure (or so? do we count partial closures?) in that time frame. A tough loss for Cornell. But CU will be back to fight another day. Due to severe winter weather, Cornell’s Ithaca Campus will close at 12 p.m. (Noon) today, Tuesday, March 14, 2017. Please use caution while traveling or commuting home. Classes and exams are cancelled while the university is closed. Essential student and campus services remain in operation. Visit https://now.dining.cornell.edu/eateries for more information on Cornell Dining operations. The university is expected to reopen Wednesday, March 15, at 12 p.m. (Noon). Visit https://emergency.cornell.edu for updates on Cornell’s operating status. This message has been delivered to all users of the Cornell University electronic mail system. Do NOT forward this message to individuals or mailing lists within Cornell. You cannot be removed from this distribution. Confession: I owe Cara Hoffman one note of unqualified praise: she was the first person to read through my fiction, mark it brilliantly up with a rosy pen, and then look me steadily in the eye and tell me I was “the real thing.” All this nearly two decades ago. At that moment I assumed, with good reason, that I had met a rare specimen, the large-hearted person. She was singularly gifted at the exceptional art of delicate, individual attention ­– a species of consideration that we always crave. In truth, I would soon learn, praise and blame are twins. Our friendship soured. With distance and a cool head, I could stand in her shoes, and see the world she beheld. She rotated around the axis of Us vs. Them. Once I shifted from Us to Them, I found myself in an unfriendly state of existence. Looking back, that exile was a blessed occasion. For Hoffman followed her Us vs Them paradigm with a devotion close to fervor. In her first major novel, So Much Pretty, small town life in Upstate New York is clearly east of Eden – a place beyond the pale. 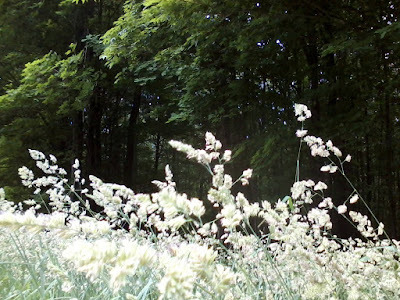 The heroine of the novel is more intelligent, discerning, and condemnatory than the flat characters which surround her; she flees the “Them” of the weeds and the wilds. These chilly words fail to match my reality. 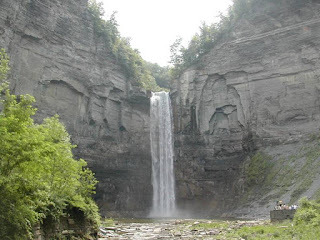 Cornell University never feels liminal; in fact, it is a hub, a dynamic place, not the realm of unadmitted failure. I look at those around me, my friends, my colleagues, and they are widely traveled folks. They read and think deeply. They can't be described by any blanket statement of status or identity. They are a varied and beautiful lot and I love them. Arguably this region may not be the “most beautiful place on earth” but it is not peripheral to anyplace or any person. It is central and vital to excellent people. But for Hoffman, it makes sense. For Hoffman, Manhattan is now the realm of Us; she and her partner, the guardians of gnosis, the strident elect, bound down Essex Street like ubermenschen, awash in translucent orange light; their shadows are “tall beneath the flame-blue sky.” She had once more winnowed reality and drawn a line between the tall shadowed people of lower Manhattan and the homunculi of the land of faux beauty. My land. My people. If writing is an invitation to a reader to walk through an open door, Hoffman’s fiction will always contain closed doors for someone, somewhere. Her stories of travel, deprivation, election and sainthood feed off denigration. An Ur-tale is being unfurled. She chips at the edges of some literary pathology. She circles back, again and again, to ennobling those myths she deems enlightening, while demeaning the fairy tales of the lost. Unfortunately, this is a visible stain on the garment of an otherwise talented writer. As Bragg correctly points out, English went through a number of radical transformations while it was the language of England. When it became the language of America, Australia, and, to an extent, India, the entire scope of English changed. It transformed from a series of dialects on a small European island, to a world language. The adventure in the title is journey from the English spoken by the Angles, Saxons and Jutes, to that of the internet, the global economy, and the currency and marker of education and advancement on every continent. 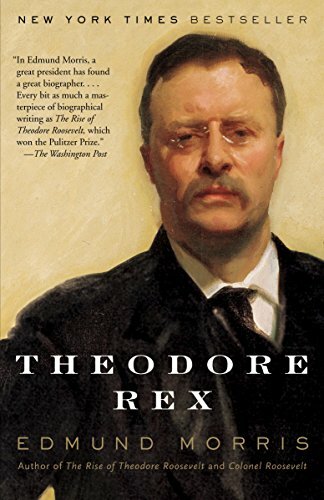 Theodore Rex, Edmund Morris’ second book in his trilogy on Theodore Roosevelt, deals with his presidency. I am struck by two things about this work. First, Roosevelt came to office after an anarchist assassinated William McKinley. This effort paid off in placing a man in the White House who employed the executive branch with as much power (if not more) since Abraham Lincoln. The presidents between Lincoln and Roosevelt were either corrupt or eclipsed by the people in American with the real power, the so-called captains of industry. Roosevelt was the first president to view government as a kind of referee, balancing the competing interests of groups for the benefit of all. In order to do this, the executive must have real power. Second, American, despite being over 120 year old, was a young republic. We were just flexing our muscles on the world stage, and there was a sense of optimism. Things were just getting started for us, and so many set-backs of American in the modern age were not even on the horizon. If you were young, white, and hardworking, Roosevelt’s America held great promise. 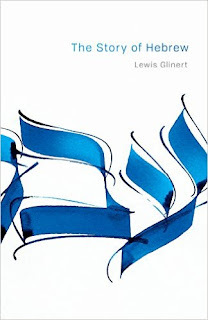 Lewis Glinert is correct to assert in his The Story of Hebrew that a book like this has not been written since the 1950s. William Chompsky’s Hebrew: The Eternal Language, 1957, is well out of date; A History of the Hebrew Language by Angel Sáenz-Badillos, 1996, is written in a style that leans more toward the expert in the field of linguistics (it is also a translation from Spanish, and the section dealing with modern, or Israeli Hebrew, is positively anemic). In the Beginning: A Short History of the Hebrew Language by Joel Hoffman, 2006, is an accomplished book, but spends just as much time on the theory of language and writing in general as it does on the specifics of Hebrew. Fact is, it is difficult to write a book about the entire span of a 3000 year language history. But Glinert has done an admirable job. He focuses on particular eras and important individuals to explore how Hebrew began, expanded, slumbered, and was reawakened as a spoken language. There are two chapters on the impact of Hebrew “On the Christian Imagination” and although interesting, I wonder if the author would have best spent precious pages elsewhere, as Christian investigations into Hebrew, by and large, seldom interested Jews, especially in the time period he explores. With that said, this is a fascinating book, and long in coming. The history of Hebrew is singularly fascinating. An ancient language, it was at once literary (biblical Hebrew), spoken (rabbinical Hebrew) and a language of poetry, letters, and religious study. When it once again became a spoken language in the late nineteenth century, Hebrew entered the world of European nationalism, forming a cohesive bond in a land of immigrants. In the process, it expanded and modernized, developed modern literary forms and informal, spoken modes of speech. 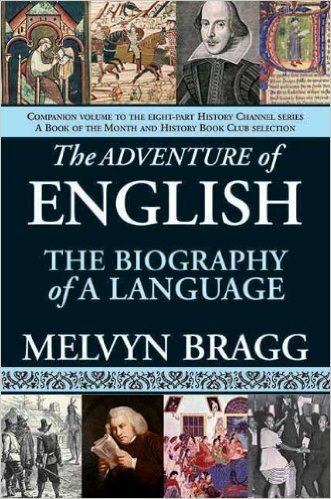 For fans of language study, this book has about all areas of interest; we are lucky to have this work. My short story, Truly the Light is Sweet, has been published in Lowestoft Chronicle's Spring edition.